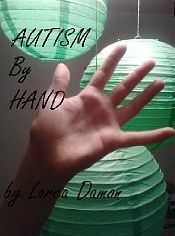 The Saturday before my birthday, I spent lying on my sofa reading, Autism by the Hand by Lorca Damon. Since honestly is an important component of it the follow needs to be stated before I go any further: this review is going to be completely and totally biased. I am the sister and extremely proud auntie of people living on the spectrum. Like the author of this book, I have read a lot on autism that left me with way too much technical information and not enough practical advice. Like the author, I am also an educator. Theories are great, but give me something I can use in my classroom or with my family. Something that you have tried and seen results from. It may not work for me, but it certainly feels a lot better than taking blind stabs in the dark. Or worse, reinventing the wheel, only to discover that someone else did it better. Since I began teaching, I have always worked with at risk populations. My first job was in a mental hospital educating sexual abuse victims. While there, I knew more than a few kids who would have benefited from their caretakers reading this book. Not because they were necessarily on spectrum, but because the advice it offers cuts through the BS of their labels and seeks ways to help them deal with the world. A world that isn’t going to understand them not matter how much education we shove down its throat. One of my favorite parts of this book was when Damon described her daughter getting upset when she share her Autism diagnosis with women in a store to explain the child’s actions. 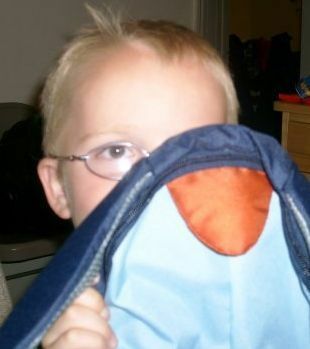 Often times, we use the label of Autism as an excuse as to why someone with it can’t do this or that, but how often do we consider that they may not want the world to know. Maybe the world doesn’t need to know. Damon is unapologetic about her approach. You might not like her, you might hate her, but you should listen to her. Listen and learn, because this woman is telling you things that worked with her child and they might work with yours. They are at least worth a try. The best thing about this book is the attitude that Damon promotes and honesty with which she presents every word. We need more people out there saying get over it and stop the pity party. Once you do that, you can really start to make a difference in your life and the quality of life of your child. I truly wish this book had been out when we first learn of my nephew’s diagnosis. I think it would have helped our family get over ourselves and concentrate on what really mattered, Robbie’s mental health and well-being. You can learn more about Lorca Damon at her website, follow her twitter or buy her book on Amazon.